On June 11th, Hong Kong hosted its first-ever Zero Waste Global Summit to publicly address the issue of waste reduction in the region and explore possible paths to a greener future. 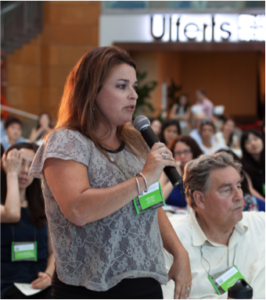 Organized by Ecozine, this event gathered more than 150 participants and featured very diverse speakers, including local and international experts, government and business leaders, environmental activists and conscious citizens, all determined to make Hong Kong a cleaner, more sustainable place. Here are the highlights of this inspiring day. Let’s start with a number to help contextualize: 9,000 tons. That’s the quantity of municipal solid waste produced every single day in Hong Kong. A rather alarming figure for a city where recycling and composting facilities remain very limited. According to the Environmental Protection Department, 67% of this trash currently ends up in one of the three landfills of Hong Kong. As this percentage has kept rising for the past five years, these landfills are close to reaching their full capacity, urging the government to find another way to treat all the disposed waste. A potential solution put forward by the authority is to build a giant incinerator with the capacity of burning 3,000 tons of municipal solid waste per day. But zero waste experts from all parts of the world unanimously denounce the many downsides of this project. According to them, this incinerator would not make any economic sense: it would be extremely expensive – costing about 18 billion HKD (2.05 billion €), and ridiculously inefficient in terms of energy produced and number of jobs created. Moreover, it would be devastating for the environment, generating highly toxic bottom ash, and being built close to the breeding area of pink dolphins, a highly endangered species endemic to Hong Kong bay. 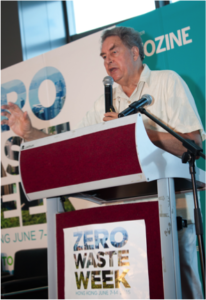 It’s with this controversial context that Dr. Paul Connett, best-selling author of The Zero Waste Solution, launched the summit with a fairly animated inaugural note. His message: waste is a human invention and a visible proof of inefficiency. Incinerators are lazy and costly solutions. The solution is to reduce, reuse, recycle and compost, both as individuals and communities, to turn our linear economy into a sustainable and efficient circular one. He claimed that, instead of considering incineration, Hong Kong should convert its existing refuse centers into modern recycling and compost facilities. Skyping in from Brussels, Joan Marc Simon, director of Zero Waste Europe, described how European countries were themselves gradually divesting from incineration and opting for zero waste strategies that prove cheaper, faster to implement, better for the economy and the planet altogether. He presented the successful examples of Ljubljana, the first European capital that declared a zero-waste goal, and Capannori, an Italian city that has one of the highest municipal recycling rates in Europe. 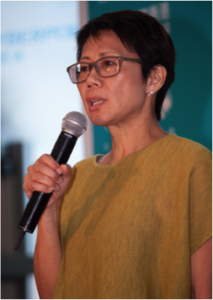 In a much-awaited talk, Christine Loh, undersecretary for the environment for the Hong Kong government, acknowledged the learning from these cities and the need to target a circular economy in the long run. But she reaffirmed that Hong Kong’s physical and organizational constraints make the incinerator project the best solution to its urgent needs. However, she ended her speech reminding the audience that her door was open to welcome alternative solutions, providing that every stakeholder commits to taking concrete actions, individuals and businesses alike, as they enjoy more flexibility than the government. The series of short presentations that followed the debate on incineration proved that many actions have already been taken at all levels of the society to shift towards more sustainable practices. NGOs and grassroots initiatives have been paving the way for a long time, from Plastic Free Seas, an advocacy organization that promotes waste reduction initiatives and education of the public, to Designing Hong Kong, a non-profit organization that focuses on preserving Hong Kong’s biodiversity, safety and quality of life. 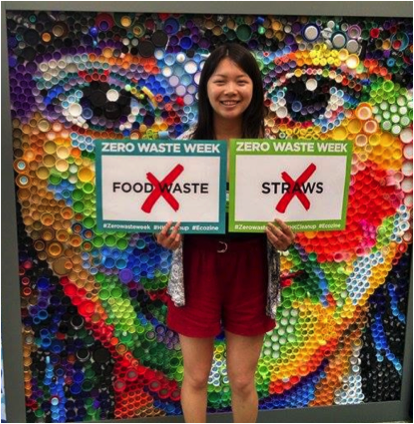 Even students took part in the panel discussions, such as 16 year-old Ike Jin Park from Project O2, a student-led organization that aims to promote the use of recycled paper in Hong Kong. Individuals had very inspiring stories to share as well: Claire Lancelot, founder of the blog Zero Waste Hong Kong explained to a captivated audience how she gradually became addicted to living a zero waste lifestyle, growing her own herbs, getting second-hand clothes and toys for her children and giving her compost to a local farmer. And if efficiency and green arguments were not enough, business leaders were present to remind participants that zero waste practices also represented strong opportunities for innovation. In this regard, ASB Biodiesel is a great example of Hong Kong based clean tech startup that thrives on converting cooking oil into biodiesel. Larger groups are also starting to seize opportunities generated by the spread of zero waste practices: BASF presented Ecovio®, a new technology for compostable bioplastic bags that could prove very useful in a city dominated by tiny spaces where people lack incentives to compost. Therefore, the summit ended on a very hopeful note. Strong civil society, engaged citizens, business innovations, support from global networks… most of the ingredients to make the city zero waste-ready are already present. What Hong Kong needs is not an incinerator, but a well-coordinated movement that would channel the energy displayed by all these admirable initiatives to fuel an efficient zero waste strategy.